MeriTalk introduces a regular new feature, a Q&A with prominent IT leaders. 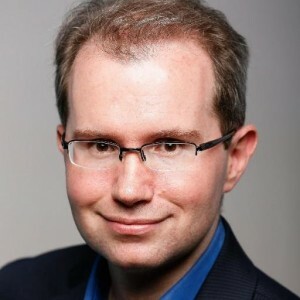 The initial installment highlights David Bray, CIO of the Federal Communications Commission. MeriTalk: What big moves is the FCC making in the IT space? David Bray: Modernizing our universal licensing system, which is actually multiple systems. It has 30, 40, or 50 workflows in it. What we want to do by the end of this calendar year is demonstrate that we can take three of the existing workflows and move them to a commercial cloud platform, and have them run in parallel to the existing legacy system. The next thing we want to do is democratize data access. We’re looking at both internally, and also for external users, by the end of this fiscal year, having better ways of visualizing some of the data FCC has. That’s where we’re looking at a commercial cloud solution that will allow data visualization; if the users want to they can remix the data themselves, but they can also use an API to pull from it. The third thing we’re trying to do is continue to do quick wins along the way, where we have legacy systems that were on servers that we hosted or code that we wrote, and what we want to do is move them to the commercial cloud platform. So we’ve got some systems in the cue that relatively soon we’ll go forward with the public, get their input on, before we flip the switch. One thing we were successful with doing to the FCC website was before we rolled it out, we got people’s input on the prototype before we flipped the switch so it wasn’t such a cold turkey thing. MeriTalk: What percentage of your system is operating through the cloud? DB: We are 100% cloud or commercial service provider. In terms of commercial cloud, I’d probably say we’re about 30 percent. But obviously, we want to be 100% along. We went to Office 365. We went with their 100 percent cloud option. Apparently we’re the first government agency to have done that. So our email, our documents, and everything is in Microsoft’s hands. MeriTalk: How does FITARA affect you as a CIO? DB: We were doing what FITARA recommended before FITARA came along. So, we developed good relationships between C-Suite peers, make sure you’re advising the top leadership of your agency, and having visibility into all financial spending related to IT. That said, we are a non-CFO act agency, so as far as we understand, it’s not clear as to whether FITARA applies to us. MeriTalk: What advice would you give to an aspiring CIO? DB: First, don’t let your existing position description box you in to who you are. In some respects, I think a lot of people look at their position description and say well, that’s who I am, that’s all I can do. Where I say that’s just the bare minimum things you should do. So if you want to be a future CIO, use your position description as a starting base for these are the things you have to do well. But beyond that, you can step outside of expectations and demonstrate you can do more. I would love to see future CIOs not just have IT backgrounds, but also have backgrounds with policy or strategy or avenues as well. Second, get as many experiences leading up to the job as you can listening, learning, and leading people. Ideally, it would be leading people without having direct authority over them. It’s very easy to manage people when you have authority. It’s very hard to lead people when you don’t have direct authority. I think the ability to influence others … I think that’s a good skill to have. And third, be eternally humble. There’s a wonderful article from Harvard Business Review that I love to quote that says, “The best leaders recognize that they’re going to have blind spots.” If you think you know everything about technology, I think you’re fooling yourself. Surround yourself with both people on your team but also outside of your team that can help inform you. That’s partly why I’m on social media, as a way of learning from others, listening to them, and gaining insights that help keep me at the top of my game. We can have conversations as to where technology is going and where our organization is going. Partly, why we were able to take the risky bets that we did take and why we’re successful at the FCC was we had those conversations and we were ahead of the curve. We didn’t want to just be the FCC of today, we wanted to actually put the FCC on a good path for the next three to five years forward. MeriTalk: What would an aspiring FCC CIO not see looking from the outside in that you would share? DB: It’s 80 to 90 percent people. Leading as a CIO, even though it’s technically about information technology, I think most of the time it’s about sharing a vision, setting boundary conditions, inspiring people to move forward, but then also doing the tactical thing of asking are we getting there on a daily basis. There’s a lot of people who are really good at vision or really good at tactical, but not really good at both. That’s why you want to surround yourself with a good team. It really is a much larger team than me. Our success really is because of the entire team we’ve got. It is a team of tens, if not hundreds. Change really does occur when you find the maximum optimization of everybody to their gifts. One of the things I like to ask people is what brings them joy? Because if you figure out what brings them joy, whether they’ve been at the FCC for 30 years, or whether they just showed up last month, then you can figure out how to best put them forward. MeriTalk: What moment in your career defined how you lead now? DB: It was way back when, on September 11, 2001. I was supposed to brief the CIA and the FBI (as the Centers for Disease Control associate director) at 9 o’clock in the morning. I went in early to work to finalize my presentation, and of course, 8:34, the world changed. We piled computers into cars and didn’t get to that briefing. We didn’t sleep for at least 24 hours. So on Oct. 1, after responding to the events of 9/11, we briefed the CIA Oct. 3, the first case of anthrax shows up 24 hours later. So, I think my leadership style is always dealing with the here and now, but it’s also there for when the really, really bad day happens.